MADRID | Governments become arrogant over time and the more arrogantly they behave, the worse they do their job. Indeed, arrogance is usually a bad influence, as it leads to confusion and errors. Former president of Catalonia and an old hand in Spanish politics, Jordi Pujol, in his latest memoirs wrote of former Spain’s presidents that José María Aznar’s political ambition dwindled away because of his pride and Rodríguez Zapatero’s did so under his vanity. He said nothing about the current president Mariano Rajoy (it mustn’t been in the agenda, as Pujol was known to tell journalists every time he did not want to answer questions). But Rajoy does not seem to be tempted by classic passions like vanity or pride; perhaps, his sin is indifference or contempt, which some call passivity or even laziness. A government does not end with the president, though. Everyone in the cabinet has her or his own character. Some ministers are prone to make declarations whenever the occasion arises. The Spanish ministers of Education and Industry, for example, belong to that group. Also the minister Economy does, although his exposure to the media is terribly high and meets with reporters almost every hour. That is why the minister of Economy should be extremely cautious, temperate and, in short, drink a lot of tea. Yet, the minister is moody and gets angry when things do not go the way he expects them to go or when people do not follow his strict script. It happened with the president of the association of the banking sector, AEB, who happens to have many decades of public service experience, as well as belonging to one of the highest bodies of State. 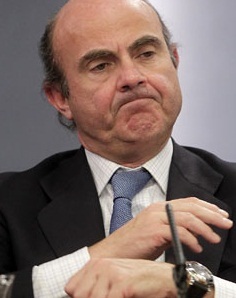 Maybe that’s why minister De Guindos hoped that the president of the AEB would wholeheartedly embrace his plan to restructure the financial system. But the plan is not good, not good enough, that is, and sounds too much like the previous three strategies adopted by the previous Socialist government, which gave us such unsatisfactory results. The minister’s temper led him to demand a formal and public correction to the AEB, which diligent, proceeded. But the minister wanted more, and from the AEB came a new press release even nicer with the government and his Economy minister than the previous one. The AEB thought that temperance and kindness were in order, as banks want to please the minister. The problem for the minister and the government is that every correction is a confirmation that the plan is not good and he will have to implement another one, and soon enough. Governments must master their courage and withstand criticism, even when it is not fair. The government has power, dictates its recommendations and the nation abides by them. But it has for the same reason to endure misunderstandings and even wonder if the critics are right. Whoever does not bear criticism, even ill-founded, loses authority and weakens his position. 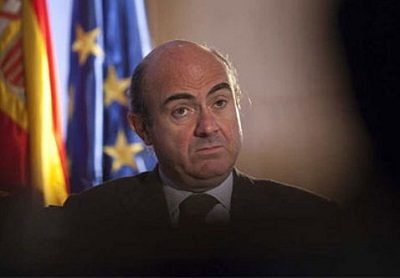 From the AEB, the message to the minister has been one of appeasement, but in a Galileo-like fashion, banks whisper that the earth moves, that the plan is not exactly what the financial sector in Spain needs. They are right and the minister either already knows it or will know it soon. He will have to explain this to the president and then seek the money to get out of the mess. Sometimes, letting oneself be in a bad mood only complicates things. Be the first to comment on "A government with bad temper in Spain"